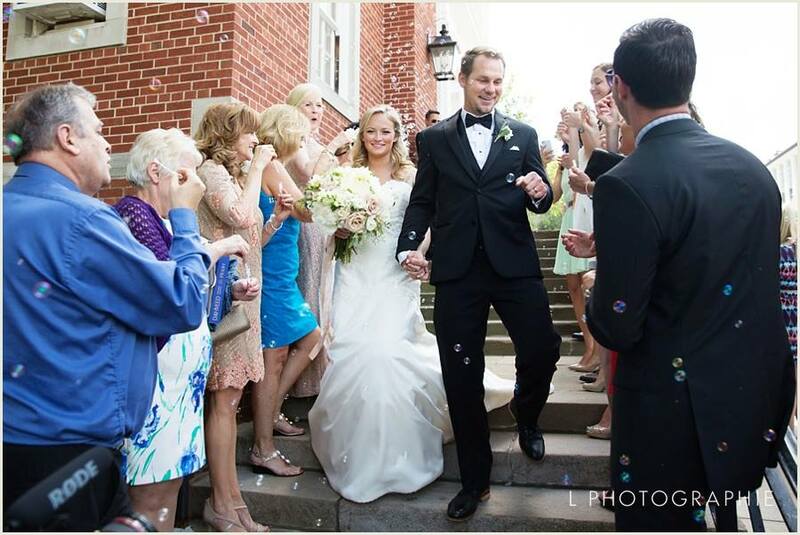 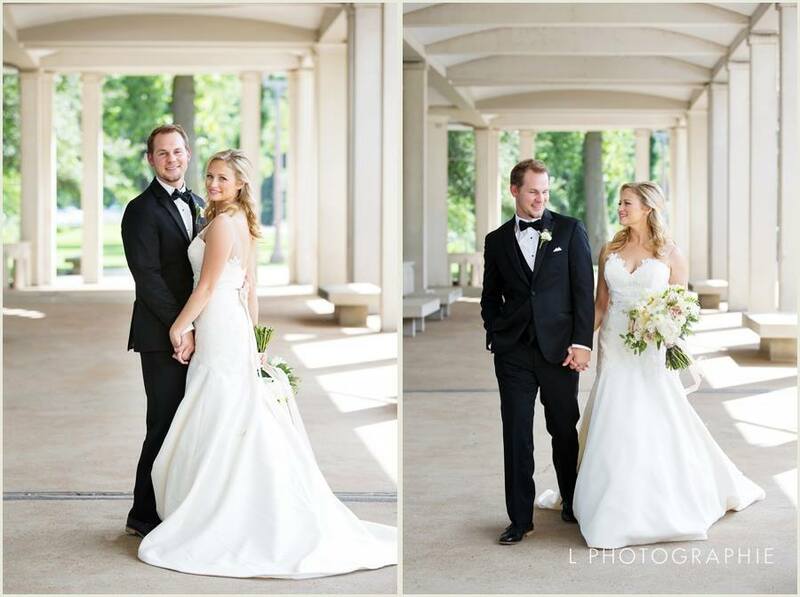 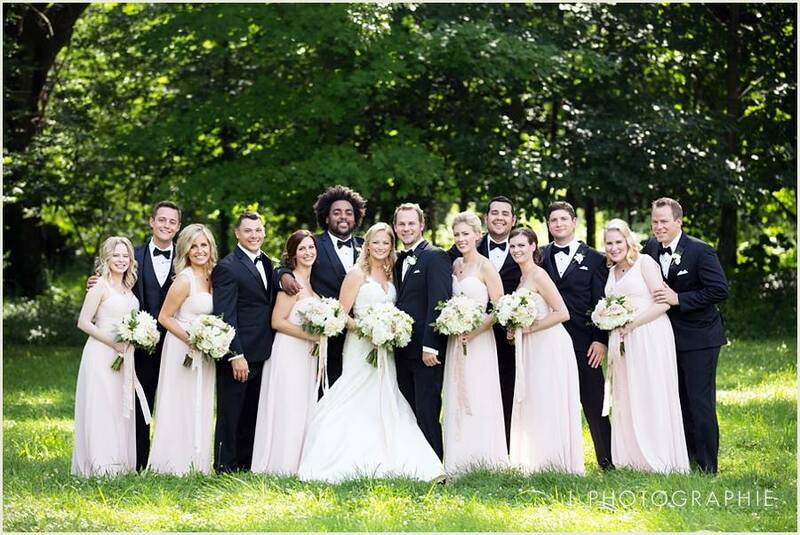 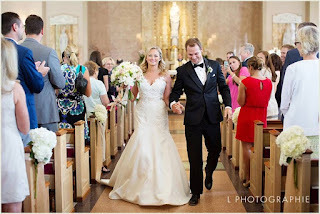 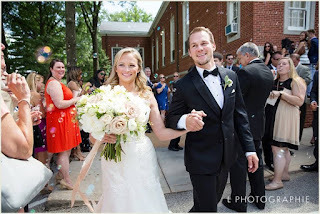 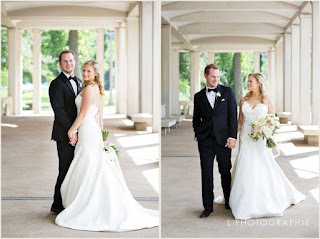 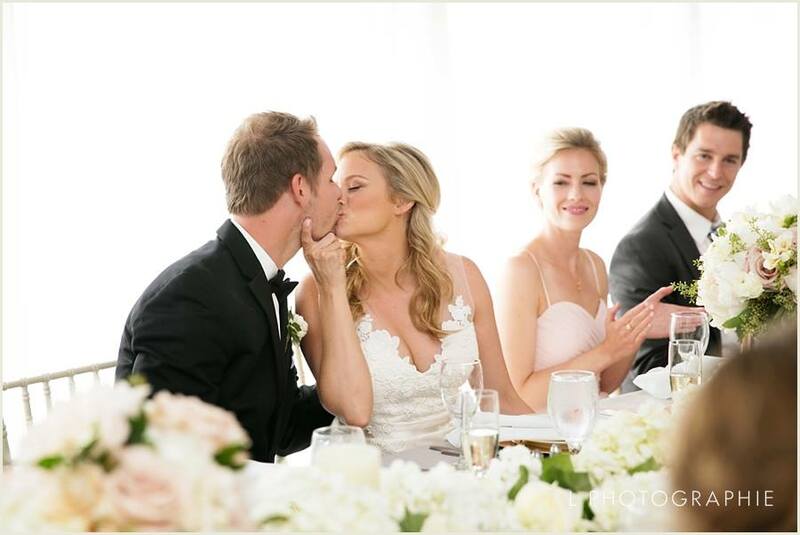 Christine and Nick exchanged vows surrounded by family and friends this past July. 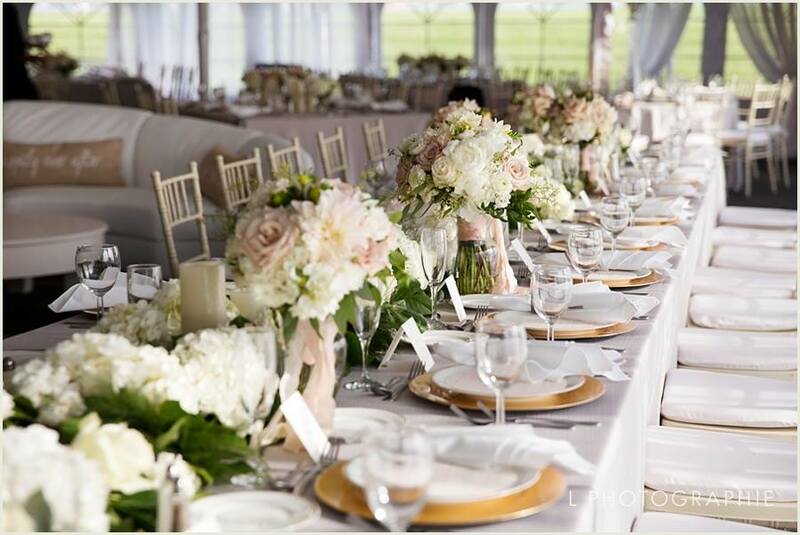 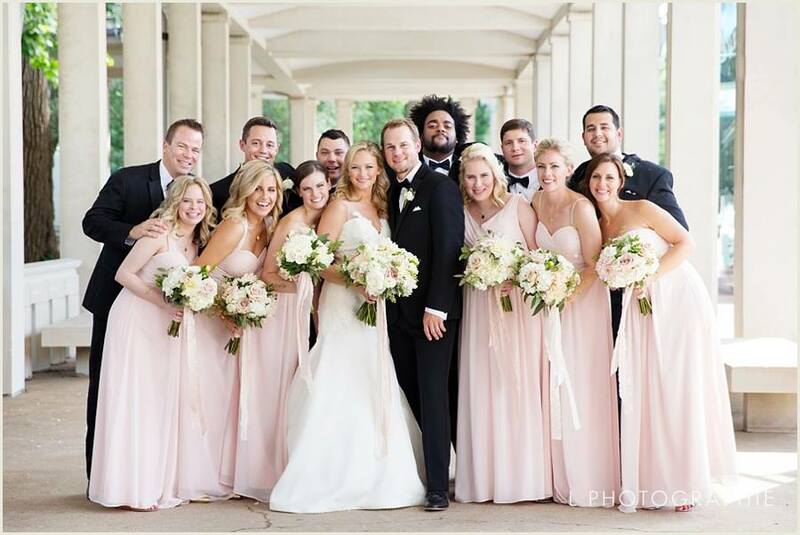 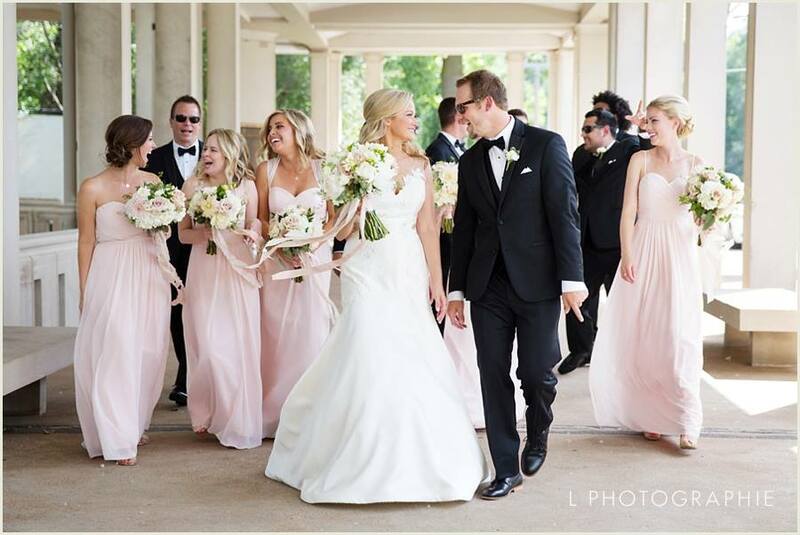 The tones of their wedding were neutrals with hints of petal pink. 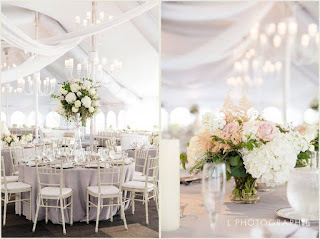 Our design team selected very textured, romantic blooms for their bouquets and reception decor. 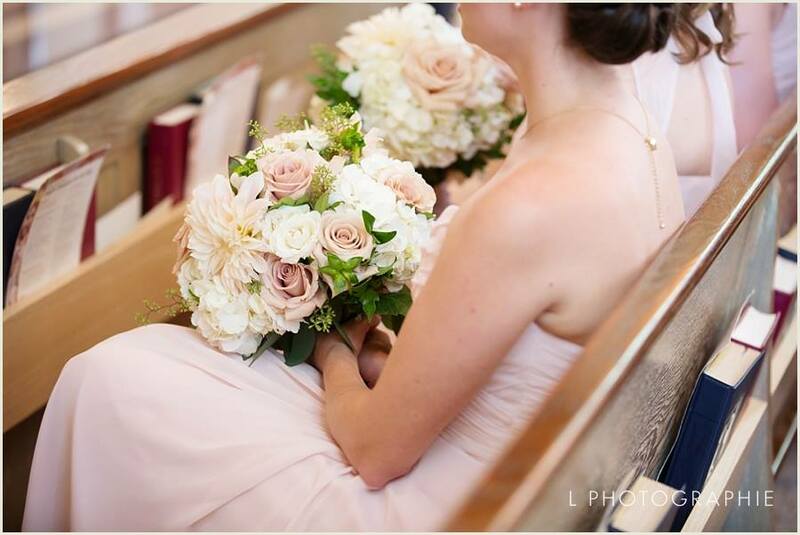 Images by LPhotographie. 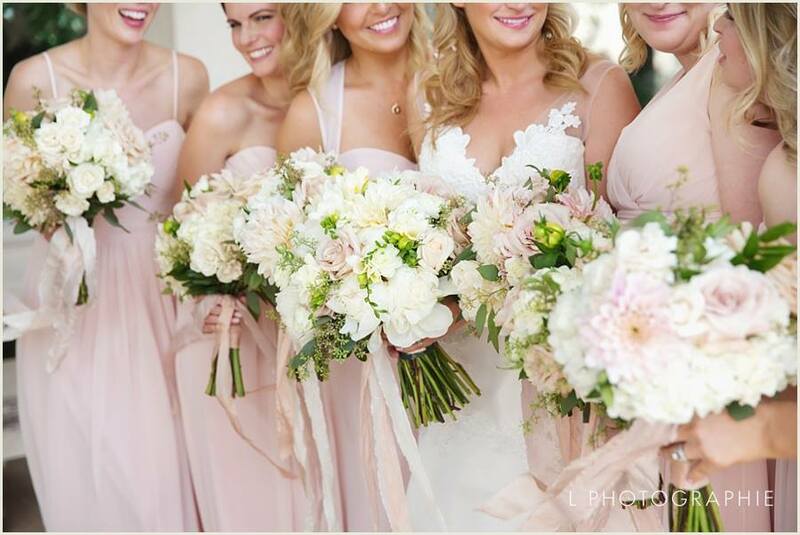 Christine bouquets included champagne roses, pale pink dahlias, spray roses, and hydrangea. The pews at Our Lady of the Pillar were adorned with clusters of white hydrangea. 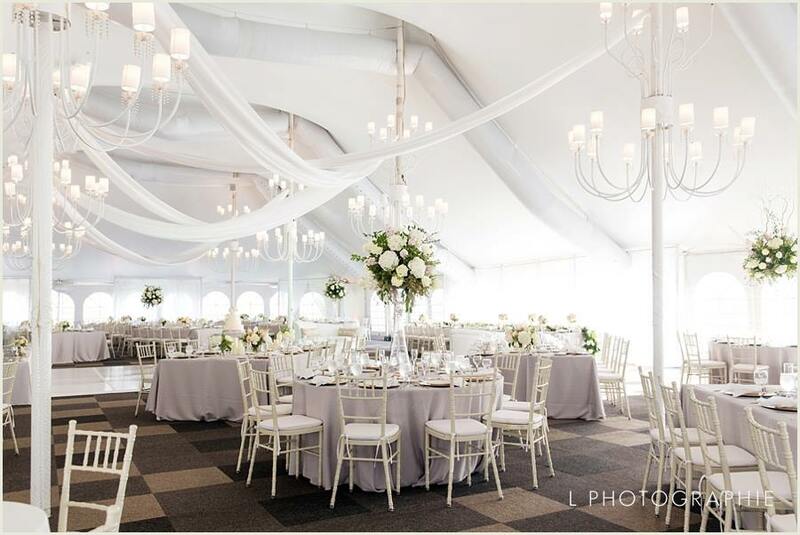 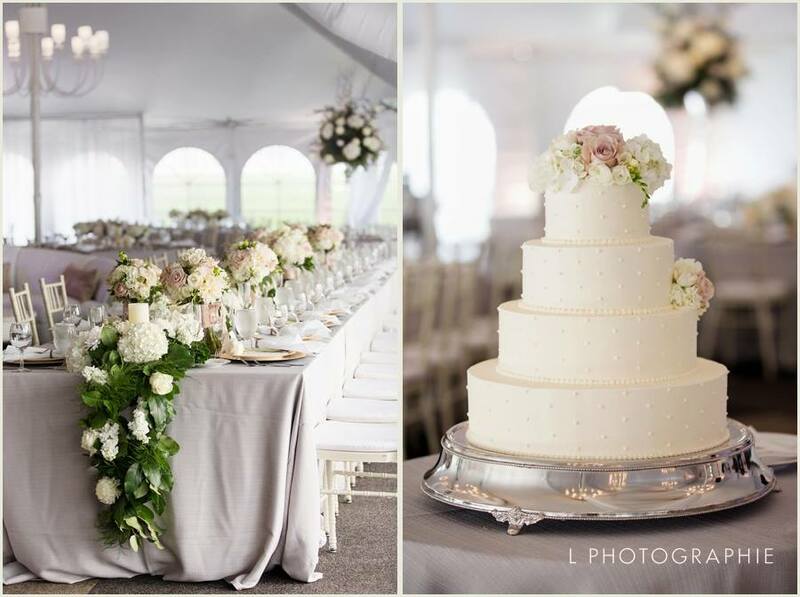 The tent at the DoubleTree in Chesterfield was decked out with floral garlands, towering vases for the round guest tables and low, full centerpieces for the long guest tables. The round tables had tall centerpieces and the rectangle tables had low flare vases with all the wedding tones. 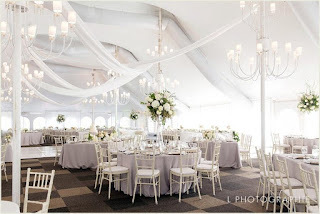 Special draping and lighting was provided by Exclusive Events. 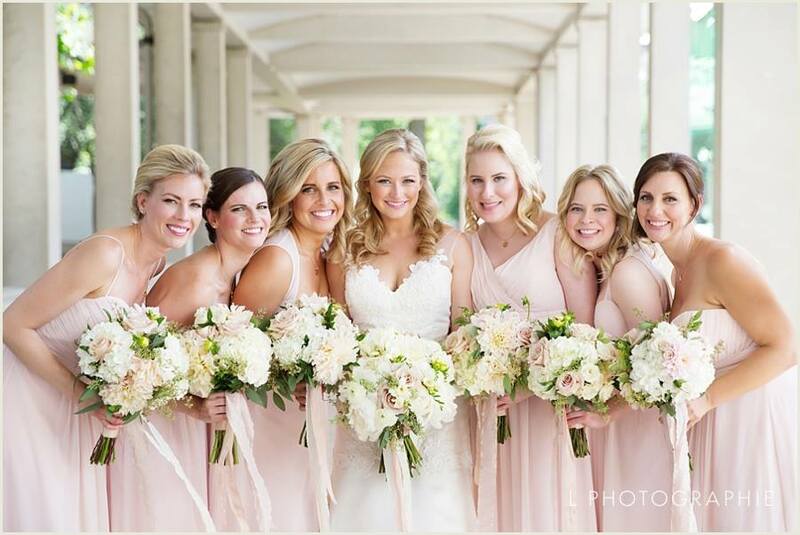 Thanks to the team at Kate & Co. for coordinating this awesome day! Best wishes to the bride and groom. 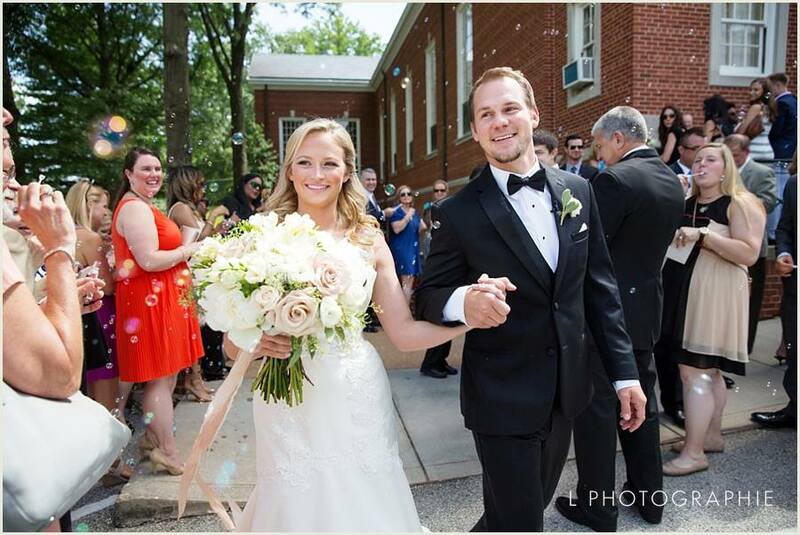 It was a pleasure to be a part of your day!